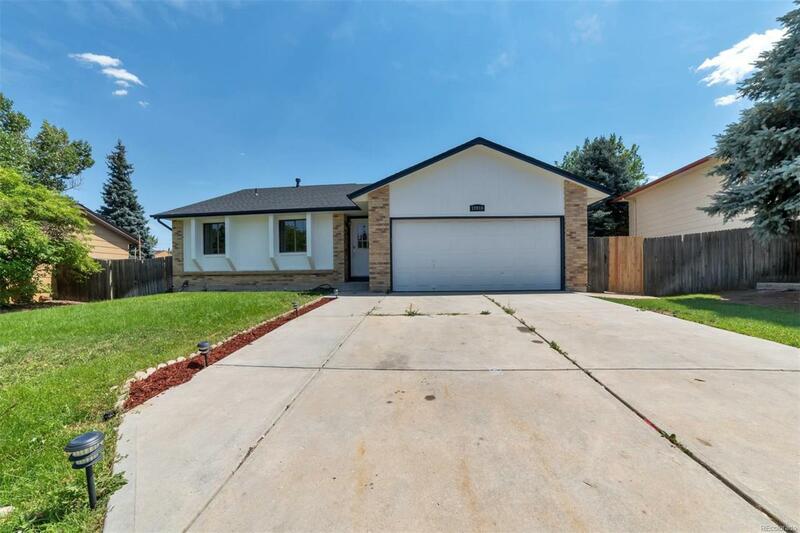 Welcome home to this beautifully updated 3 bedroom, 2 bath Ranch in Stone Ridge Park. New paint. New carpet. Open floor plan featuring lovely white kitchen with granite countertops and stainless steel appliances over looking family room. Fabulous master bedroom provides plenty of space. Basement set up perfect for "Man Cave", large playroom, or extra living space with unfinished portion big enough to expand with bedroom and bathroom. Gorgeous backyard with tons of room to play and privacy for entertaining on those great Colorado summer nights. This home has everything you want!